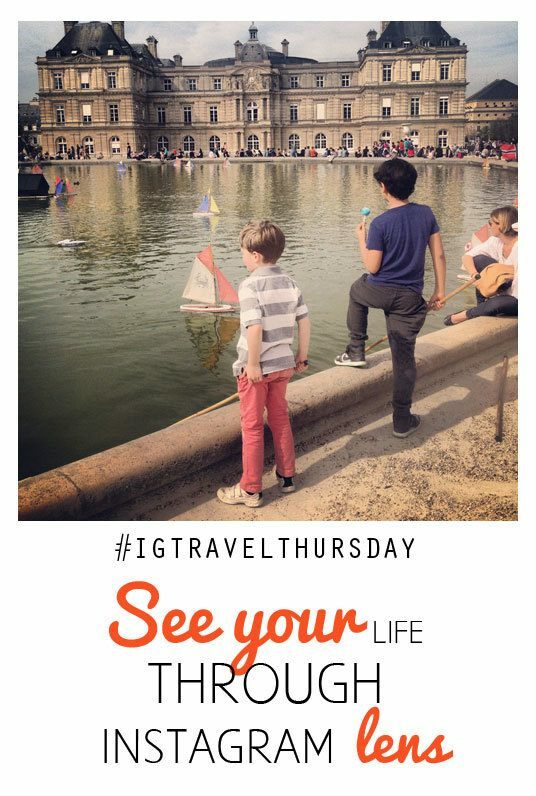 The past six months I have been actively spreading the word how amazing Instagram is and thus also wanted to start the Instagram Travel Thursday. I post a “Good morning” picture on Instagram every single morning and yes, I am very active on Instagram. Last week I took my first two-day-break of posting my morning pictures due personal reasons. What I realized during the conscious break: I don’t want to broadcast on Instagram – I am documenting my life, and there is a big difference and that’s what I’d like to discuss about today. I don’t recommend Instagram or any other social media network to be your driving force in life. Live your life and experience things for YOU, not for your followers and friends. I don’t recommend booking your next trip because of a photo you want to take – but because you want to experience the place. I don’t recommend ordering the food that looks the best for the photos – but the food you actually want to eat. I don’t recommend putting on pretty clothes to look cute in your selfies – but clothes that are comfortable, keep you warm and make you happy, and are appropriate for the moment. Ultimately – live for the moment, and live for the people you are surrounded with and live in the place you are. 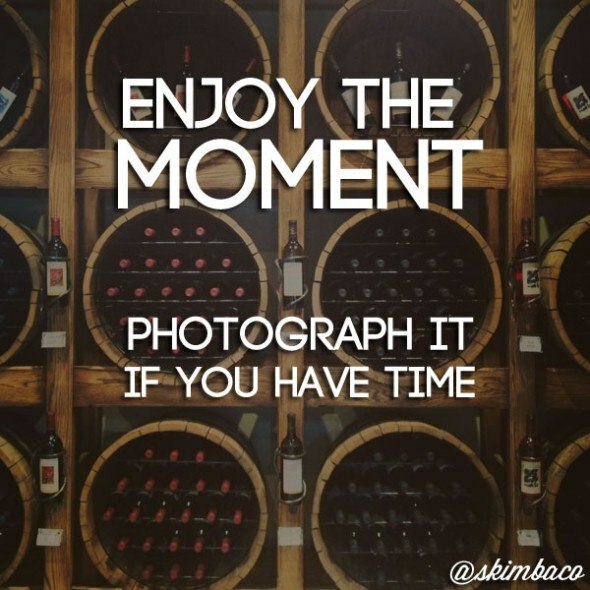 Enjoy the moment to the fullest, and photograph it if you have time. Use photography to document the moments to remember them, but don’t seek for moments JUST to document them in square images. It’s also OK if you missed the perfect shot of the once-in-a-lifetime-“thing”. You saw it, you experienced it and ultimately that matters much more than taking a picture of it. I have one once-in-a-lifetime photoless story for you – it’s when I was at the Academy Awards red carpet taking photos of the celebrities walking to attend the Oscars. Suddenly George Clooney, yes, THE George Clooney, approaches me. I completely shut down, words don’t come out of my mouth and my fingers are simply not working and clicking the camera buttons nor the phone screen to take a photo of George-freaking-Clooney right in the front of me. What does he do? He TOUCHES my hand and strokes the top of my hand and ah, squeezes it a little, and looks at me into my eyes and his eyes pretty much say “it’s OK, I know I have this effect on women.” George Clooney made sweet love to my hand for 10 seconds, and I didn’t even get a photo of it/him/the moment!! But let me tell you, I enjoyed the entire 10 seconds, it was the highlight of the 2010 Oscars for me, and I am so happy I didn’t ruin it and made even a bigger fool of myself by snapping a photo. Ultimately it is the memory we want to save, and why we want to document life. 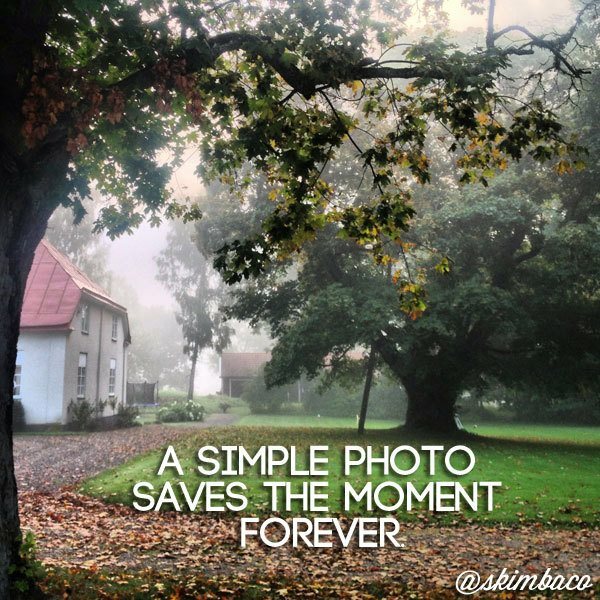 A simple photo saves the moment forever. Thank God for digital photography and us becoming so much more relaxed photographers!! I think on any given day I now snap more photos than I took of my first-born-daughter on the first days of her life! Yes, I admit it. We didn’t have a digital camera back then, and I remember only wanting photos when she had a pretty matching outfit on – or photos where the homey chaos what comes with being a first-time parent wouldn’t be showing. Today I realize that it’s the silly faces, the everyday chaos and the everyday beauty that actually makes the best photos. Photos taken from different angles and with different approach document our lives in a completely different, more honest way. 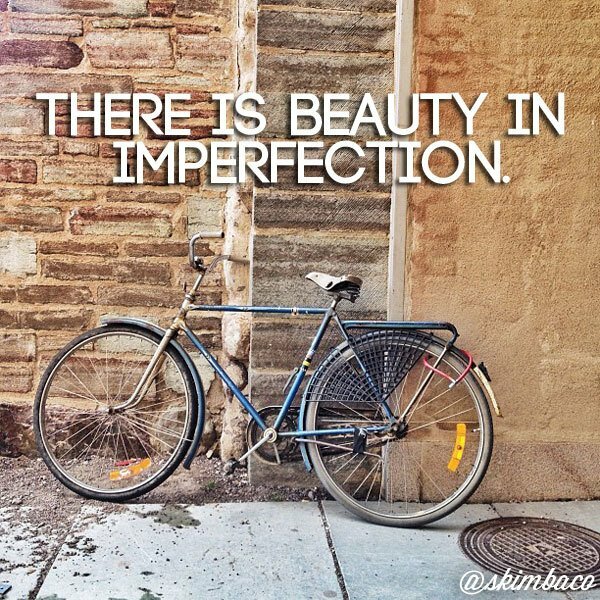 It is this principle I had in mind when I was choosing a blogging camera, that there is beauty in imperfection and when we are able to recognize it, it’s when we truly start living life to the fullest. It’s thanks to easiness of phone-photography that we want to see and document the beauty in everyday – see where to crop the pretty detail in our everyday life, or how to capture the everyday craziness called life. You don’t necessarily need a specific camera to get beautiful shots. Someone once told me “you always go to the prettiest places, your photos are so great” – no, not really. I just choose to see beauty everywhere I go and crop the picture to document the best of it. With photography you can pick and choose which are the details and memories you want to document, and which ones you want to leave out of the picture. Don’t let phone-photography to be the guiding force in your life, but use it to see your life through a new lens. Are you liking the visual story of your life that the individual photos on Instagram tell? Are you thankful for what you have? Are you craving for something more? Does your digital memory book make you feel “I can’t believe this is my life!”? If not – is it time to get some Skimbaco in your life? Maybe you don’t need tips how to take better photos, maybe you need to reflect on your life and need tips how to see beauty in the life you have. I couldn’t agree more with your reminders! Instagram (or any other SNS) is actually a good platform to share your life to others; but sometimes, people get so caught up with it that it begins to fail in serving its purpose. And yes, photos need not to be always grand. Apparently, many ‘photographers’ nowadays forget that taking pictures is not really about flaunting the angling, rule of thirds, and whatever; it’s about telling a story. Thank you for this again! This post should be called “George Clooney held my hand for 10 minutes” lol. Who could possibly think of a photo at a time like that! No worries, I am sure like all your readers, I have a very clear visual from your description. Which can be even better than a photo. What a sweet post. I am not letting my husband see this, as he is always telling me I focus too much on the photo. Sometimes he is right…. But more importantly, WOW! George Clooney, I stalked his house in Lake Como and was sad not have seen him, although if I had I’d prob be just like you FROZEN! A dilemma I struggle with constantly! I now take the photos and then put my phone away to enjoy the experience. I want to be present both digitally/socially and in person and finding the right balance is always a challenge. Very well said. A few times I’ve caught myself taking pics and it feels like it’s for the wrong reason and I just put my phone away. I feel much better about a trip or experience when I am living in the moment and in this day and age we sometimes need a reminder. Great post. Exactly, Katja. You know I’m all about the moment. LOVE this post Katja. You are so right- I see Instagram as a way to document the things that make me smile or think- or that demonstrate how I am feeling about a moment/place/thing. It can be a slippery slope but keeping the big picture and purpose of why we do what we do in mind is a helpful reality check. My biggest aha was earlier this spring when I was on a press trip and was having dinner in an amazing restaurant- together with one of the owners and his wife. I forgot to take a single picture of my food because I was so engaged in the conversation- and I felt horrible that i had not gotten any food shots–but really- the meal and experience were something I will never forget because of the dialogue and conversation around amazing food. I see it kind of two ways: I get that travel bloggers need to get the photos and the story, but at the same time – if you focus in photographing the story, you will miss experiencing the story and your experience is completely different. 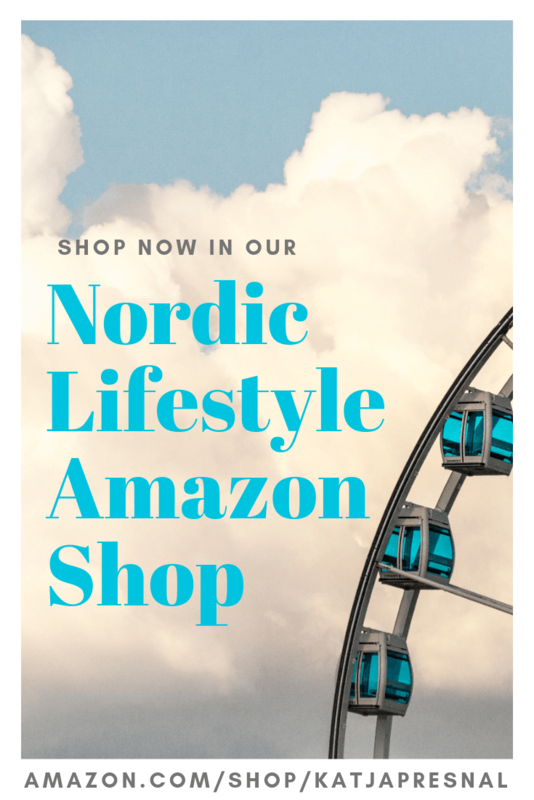 Is part of the story then…. “this place is great to take photos of”…? 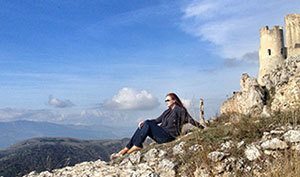 Yet, for travel professionals it is different – we make our living from the travel content and ultimately the photos we take, and even for us I highly recommend experiencing things cameraless sometimes. Because I for sure don’t want to recommend all of Skimbaco readers to go on trips only to take photos!